Graston Technique®, FAKTR-PM, SASTM, ASTYM, Gua Sha and IASTM are the names being thrown around today in the arena of instrument assisted & augmented soft tissue mobilization methods. Gua Sha (Chinese: 刮痧; pinyin: guā shā), literally "to scrape away fever" in Chinese, dates back sometime between the 5th & 7th centuries. Since then as you could imagine there's been some progress. Science has taken the reigns and nowadays we have Graston Technique®, ASTYM, SASTM and of course all the people running around with spoons and Whartenberg Pinwheels with tape over the pointy wheel doing some made up form of IASTM. The moral of this paragraph is that this ancient method of treatment has lasted the test of (a lot of ) time and has some solid research behind it (referenced below). The reason, quite simply put, it works really well. No matter which technique you do, there are a lot of "instruments". Each system offers either stainless steel, ceramic or hard plastic tools and there seems to be one tool for each body part. 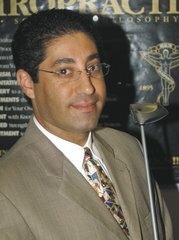 Having been a certified Graston Technique® practitioner since 2002-2003, I've been using my instrument set numerous times daily when treating sports injuries, car accident injuries, chronic back and neck pain and post hip/knee replacement pain. However the more I use the tools, the more I had to carry with me. Tools became slippery from the emollient and when you added it all up, I ended up spending a lot of time changing between different instruments, cleaning and searching for the right tool for the particular tissue I was working on. Although quite effective, it was definitely a hassle that I thought could be streamlined. Greater efficiency with equal or greater effectiveness was what I was looking for. So, After years of tools slipping from my hands, my hands and fingers getting fatigued as the tools became more slippery during treatments throughout the day, having to change tools during treatment of the same patient, washing, cleaning and transporting multiple tools to and from different treatment rooms. I also found that there were some parts of the existing tools that I never used or needed, so I had to find a something better. However everywhere I looked, nothing existed that fit my needs. Everyone I spoke to was “mostly content” with what was available and no one offered any solution. So with all the metal, wood and plastic soft tissue tools I accumulated over the years, I went to the drawing board and started designing. After years of my testing different wood, metal & plastic tools available on the market, I started combining the best and most useful elements of the tools I obtained into various designs. During this time my father injured his right shoulder and was unable to abduct his right shoulder. He was diagnosed with a torn supraspinatus with 2.5mm of retraction at the myo-tendon junction, his orthopedic surgeon (as well as an orthopedic second opinion) told him he’d require surgery to repair the rotator cuff if he hoped to regain any function again. He called me and came in for an exam & treatment with his MRI in hand. This was about the same time I finished my latest design of a new soft tissue instrument (of which there had been many). I had been playing with the design and had just finished refining the drawing the day he came in. As I was working on his shoulder, he was looking over my drawings and took a copy of the latest design back to his shop with him. Without my knowing it, he began taking my design and forging it into reality. He spent that week cutting, grinding and shaping it out of stainless steel. He brought it to me a week later and for the first time I held in my hands what I thought was the perfect soft tissue instrument. Over the next several months as we continued to treat his shoulder, we refined & improved the instrument until it worked as I dreamed it would. Today, I’m proud to say (and to his surgeon’s amazement) my father had a fully functional, pain free & strong rotator cuff, & we had developed an incredibly functional Soft Tissue Mobilization Instrument which we named the Narson Body Mechanic N6. Now, for the first time, I didn’t have to change tools during treatment. I was able to seamlessly go from tissue to tissue changing techniques simply by turning the tool to the desired treatment edge. No longer did I have to clean multiple tools or stop treatment because tools became too slippery. It was faster, more efficient and everything I was looking for was finally right there in my hands. After cleaning, it easily slipped into my pants pocket to go with me from patient to patient. No longer did I have to carry multiple tools, or go back somewhere in my office to find the one tool I happened to forget to bring with me. Now I have them all with me all the time. No lugging a pouch or tray of tools with me anymore. The N-6 was all I needed. So now with “Patent Pending” we go forward with a new all-in-one tool for your soft tissue treatment 'tool belt'. I hope you like it as much as I do. 1. Davidson C, Ganion L, Gehlsen G, Verhoestra B, Roepke J, Sevier T. Rat tendon morphologic and functional changes resulting from soft tissue mobilization. Med Sci Sports Exer. 1997;29(3):313-9. 2. Gehlsen GM, Ganion LR, Helfst R. Fibroblast responses to variation in soft tissue mobilization pressure. 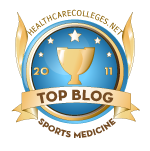 Med Sci Sports Exerc. 1999;31(4):531-5. 3. Melham TJ, Sevier TL, Malnofski MJ, Wilson JK, Helfst RH, Jr. Chronic ankle pain and fibrosis successfully treated with a new noninvasive augmented soft tissue mobilization technique (ASTM): a case report. Med Sci Sports Exerc. 1998;30(6):801-4. 4. Carey MT, Ploski M, Sweney L, editors. The Graston Technique of Soft Tissue Mobilization. APTA Combined Sections Meeting; 1999 February 3-7; Seattle, WA. 5. Sevier TL, Wilson JK. Treating lateral epicondylitis. Sports Med. 1999;28(5):375-80. 6. Earley BL, Carey MT, Hall A, editors. The Graston Technique of Instrument-assisted Soft Tissue Mobilization. AOTA Annual Conference and Exposition; 2000 March 30 - April 2; Seattle, WA. 7. Carey MT. The Graston Technique Instruction Manual. 2nd ed. Vincent RE, editor. Indianapolis, IN: TherapyCare Resources, Inc.; 2001. 8. Perle SM, Perry DG, Carey MT, editors. Effects of Graston Technique on Soft Tissue Conditions: A Prospective Case Series. WFC's 7th Biennial Congress; 2003; Orlando, FL: World Federation of Chiropractic. 9. Loghmani MT, Avin K, Burr D, Warden S, editors. Instrument-Assisted Cross Fiber Massage Accelerates Knee Ligament Healing. Combined Sections Meeting; 2006: American Physical Therapy Association. 10. Burke J, Buchberger DJ, Carey-Loghmani MT, Dougherty PE, Greco DS, Dishman JD. A pilot study comparing two manual therapy interventions for carpal tunnel syndrome. J Manipulative Physiol Ther. 2007 Jan;30(1):50-61. Dr. Narson is a 2-term past president of the Florida Chiropractic Association’s Council on Sports Injuries, Physical Fitness & Rehabilitation and was honored as the recipient of the coveted Chiropractic Sports Physician of the Year Award in 1999-2000. He is a Diplomate of the American Chiropractic Sports Physician (DACBSP) and practices in Miami Beach, Florida at the Miami Beach Family & Sports Chiropractic Center; A Facility for Natural Sports Medicine. Graston sessions are quick, lasting between 2-10 minutes; though a couple of minutes of Graston treatment feels like an hour of deep tissue massage. I typically see improved range of motion of 15% to 20% at the end of the first Graston session and pain is noticeably reduced. I continue treatments until the patient achieves sufficient flexibility and movement, or is demonstrating a substantial decrease in pain. Best results are achieved when treatments are applied two days a week for an average of 4-5 weeks, with most patients noticing a positive response by the 3rd and 4th treatment.